From roofing repair and installation to fitting new guttering and downpipes, Ace Roofing Wicklow are the company for you. 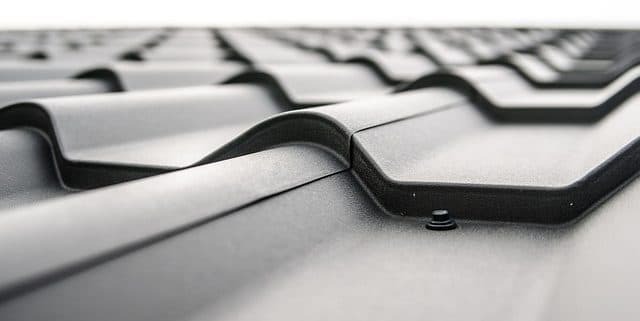 Established in 1988, Ace Roofing Wicklow can offer you all aspects of roofing and guttering work, including repairs, replacements and new roofing and guttering. Whether it’s replacing a damaged roof tile or repairing your guttering downpipe, Ace Guttering & Roofing have the experience and expertise required to offer you a first class service, no matter how big or small the job may be. Based in Wicklow we cover all local areas including the outer regions of Wicklow. Call now for a friendly and certified roofing and guttering contractor for a free, no obligation quotation. Leaking guttering or rotten soffits or fascia’s can cause damp to your property, and can also result in water laying on paths causing a slip hazard. Ace Roofing will replace or repair damaged or dated fascia and soffit at very competitive rates. Ace Roofing can prevent heat loss by upgrading attic insulation in new and existing houses. Ace Roofing Wicklow provide bespoke and affordable services for all your security needs. Professional residential, commercial & industrial localised security solutions. 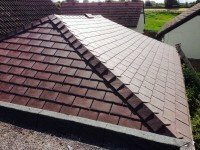 Ace Roofing Wicklow are based in the North and the South of Wicklow. 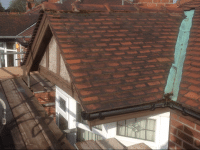 We are a family run business with generations of experience as roofing contractors and general roof repairs from leaking to exterior decorating spanning over 30 years. Our aim is to provide quality of service and competitive rates. We have been working in Wicklow for over 3 decades. We provide professional roofing services to our clients. We certified and endorsed. All our work comes fully guaranteed up to 25 years. A truly helpful, friendly and reliable service from Ace Roofing Wicklow. 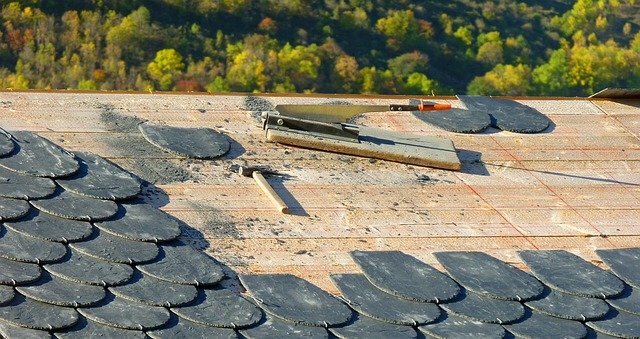 We are one of Wicklow’s leading roof tiling repair contractors and general roofing experts. Furthermore, you can always expect to have the work not only done in a timely fashion while also in the manner laid out by the Health and Safety Authority. 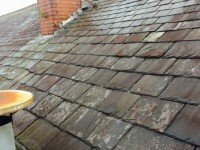 When it comes to slate or ridge tile repairs or rather an installation to your home, we deliver the finest workmanship possible . We guarantee all our work and only use the same highest quality material suitable for the needs of the house. Our experienced team can carry out a full range of tiling, slate and lead work. From the replacement of one broken tile or slate to the replacement of a new roof of a large commercial building. Call now for a free no obligation quote. We won’t be beaten on price or on the quality of our work. Open 7 days a week, and emergency call out available. 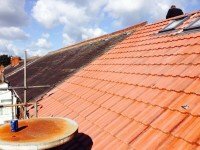 Our expert team at Ace Roofing Wicklow are able to remove your existing roof covering much as remove existing latting and felt. We can install new latting and replace old felt. This is with a wide choice of self coloured concrete tiles, resin based or natural slate to compliment or even re-use the existing felt. Time required depends upon the complexity of the customers’ requirements and the extent of covering required. Probably this can usually be completed within just a few days and a minimum amount of disruption. 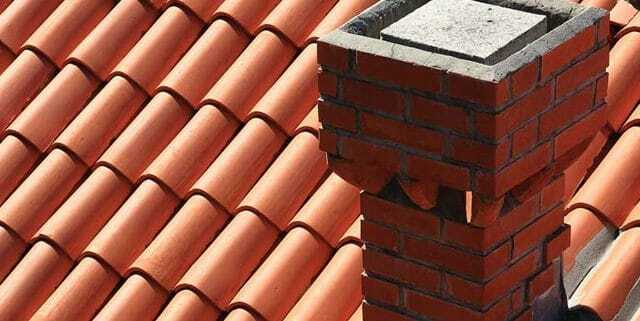 We repair all types of roof valleys (Lead and Copper Valleys) and chimneys. Most of all we do complete replacement, limited replacement, and repair or refurbishment of the original valley or chimney. The valley of a roof is the segment of the roof where the course of the roof changes. Or especially where a dormer or a bay window is installed into the roof. It directs the rainfall. When you are having problems with a leaking or seeping valley we can refurbish & renovate. In conclusion, we can seal the lead, copper, zinc or compliment whatever materials that are in the valleys. 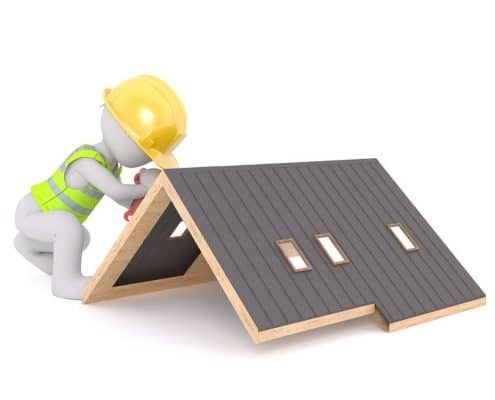 We are one of Wicklow’s leading roofing repair contractor and general roofing experts. Therefore, you can always expect to have any repair work that we undertake done to the highest of industry standards. Regardless if its small roof repairs, perspex roofing, galvanised roofs, garage roofs or shed roofs. We can replace a few tiles, spot patching, timber joist reparations. Maybe one or two broken tiles or if its a larger repair that requires we remove a significant section of your roof. 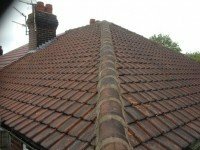 Our experienced team can carry out a full range of tiling, joist, valley, ridge tile, broken tiles and lead flashing repairs. 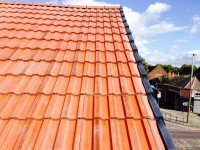 From the replacement of one broken tile or slate to the replacement of a roof. 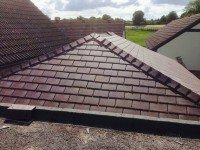 Roofing repairs can be an art form and its something that Ace Roofing Wicklow have perfected over their 30 years in business. The attic is one of the most important areas of a house to have effective insulation. Heat has a natural tendency to rise and will therefore escape out through ceilings if allowed. It is estimated that a house can lose 35-40% of its heat through the attic roof.Most houses in Ireland only have a thin layer of fibreglass attic insulation which is nowhere near sufficient to retain the heat from below. With a large percentage of that heat escaping, the heating must be kept on longer to retain a comfortable temperature in the home. Guttering is an essential system for your house. It provides very important protection against rain water and the damage it can inflict when it stagnates on a house. The importance of your guttering should never be under estimated. Unfortunately for most property owners gutters and down pipes can be overlooked. Probably well they are generally high up at roof line out the way where you can not see them. Our certified team can replace old flat felt roofs with the highest quality materials. Noteworthy, we also providing a guarantee on all new work completed. We use only the HSA approved materials combined with torch work to ensure that any felt we lay is done to the highest standard. While it is guaranteed to be waterproof and long lasting. Ace Roofing Wicklow are an approved contractor for Pluvitec, Index, Paralon and Ruberoid torch on roofing systems. 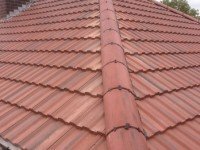 Using any of these product listed above you will gain a guarantee from both manufacturer and Ace Roofing& Roofing, up to 25 years. Quality Roofing You Can Trust. Fill in the form below to for Free Quotation.